The career of a CNA and a caregiver appears to be same, but in fact, there are many differences between them. Caregivers are uncertified professionals, who are intended to become a nurse aide. As compared to caregivers, certified nursing assistants possess more educational qualification and therefore, enjoy higher pay and good working opportunities. Here are some points of difference between a CNA and a caregiver. CNA- To work as a nurse aide, it’s necessary to have a GED or a high school diploma. Besides this, candidates are ought to take a training of 75 to 100 hours duration. Caregiver- The only education requirement for these workers is a diploma in high school or GED. There is no need of taking any sort of formal training. However, caregiver training for ten hours is available for those, who want to advance their career. 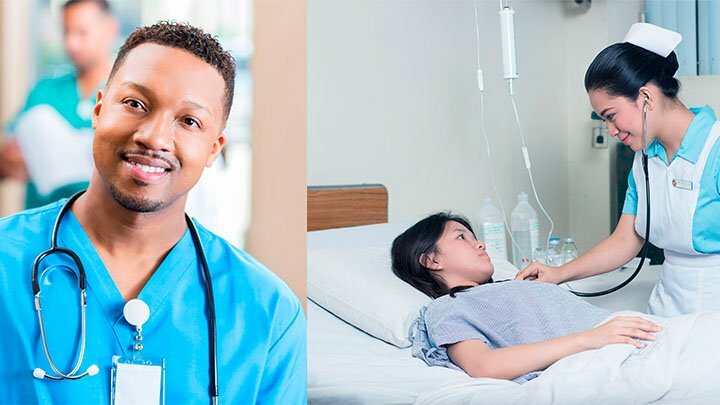 CNA- It’s mandatory for the aspirants to qualify the certification exam, organized by the respective state and acquire the CNA certificate, before getting hired in any medical facility. Caregiver- There is no requirement for certificate for caregivers. CNA- They offer basic medical care to the patients under the direction of RNs or LPNs. They measure vital statistics of the patient, clean the medical equipments, prepare patients for the surgery, administer medications, control infection, move bedridden patients, etc. Caregiver- They perform non-medical tasks and are hired to take care of those patients, who require limited assistance. They help elderly and disabled clients in accomplishing routine functions and carry out ordinary tasks, like paying bills, driving, washing clothes, housekeeping, cooking, etc. CNA- They have a lot of work alternatives. Nursing assistants can work in assisted living facilities, hospice, residential care centers, retirement centers, clinics, hospitals, day care facilities, doctor’s office, etc. Caregiver- They have less working alternatives. They are generally hired to work at patient’s home. They might also find jobs in nursing homes or retirement communities. CNA- nurse aides have a very wide job scope. They work closely with medically ill patients. They can also perform the responsibilities of a caregiver. Caregiver- Caregivers are eligible to help patients, suffering from mild dementia, but no medical conditions. These professional can’t perform the duties of a certified nursing assistant. CNA- Certified nurse aides may make an average income of $26,000 per year. The hourly wages may vary from $9.60 to $12.45. Caregiver- The hourly income for a caregiver lies between $8.76 and $11.50. The average yearly salary is $24, 000.